Winner, winner, chicken dinner. The popular livestreaming brothers Jaime and Matt Staples crushed a $150,000 prop bet against Bill Perkins on Sunday after both weighing in at 188.3 pounds, following a year-long battle to overcome the odds. Perkins gave the brothers 50-1 odds. It was their $3,000 against his $150,000. Money means little to Perkins, a man who is so wealthy he basically prints money. The purpose of this prop bet was to encourage the livestreamers, especially Jaime who was overweight, to get into shape and live a healthier lifestyle, not for Perkins to win $3,000, money he doesn’t need. On March 26, 2017, Matt weighed in at 134 pounds and his brother was at 305. To win the prop bet, they had to bring their weight within a pound of each other by March 25, 2018. They hired a trainer, Mike Vacanti, to help them with creating an exercise program and meal prep. For someone as small as Matt was a year ago, it was going to be difficult to put on enough weight to catch up to Jaime. Losing weight is often easier than gaining weight, especially for someone who was so small and likely had high metabolism. Vacanti had Jaime watch his calories and do regular cardio workouts. Matt, on the other hand, could eat more scrumptious meals and lift weights so as to add muscle mass which is heavier than water weight. The 170-pound weight differential wasn’t going to be easy to overcome. They had to work hard daily for 12 full months just to get within striking distance. 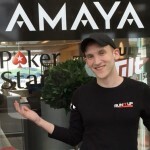 After a year of intense training and dieting, Matt and Jaime Staples’ fate was to be sealed on Sunday in Reno, Nevada at the Peppermill Resort and Casino, home of Jason Somerville’s Run it Up Reno poker series that is currently underway. Perkins was unable to attend so he sent his buddy and fellow poker player Jeff Gross out to Reno to officiate the weigh-in. They had one opportunity to stand on a scale and, if their weight was within 1.0 pounds, they would receive $150,000 ($75,000 each). If not, they each had to pay Perkins $1,500. 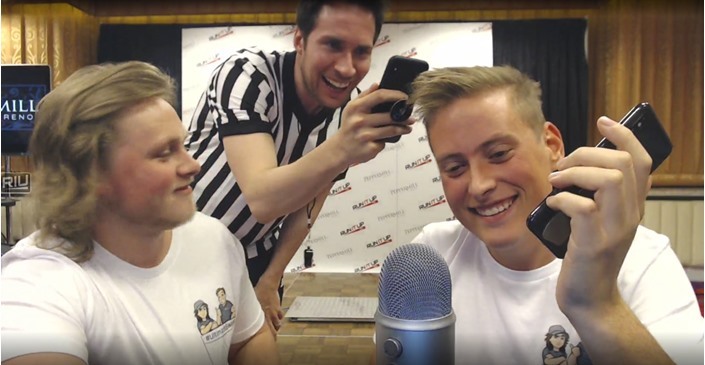 Both arrived at the weigh-in with nothing but a white t-shirt and black shorts on in front of a livestreamed audience on Twitch. After they stepped onto the scale, Gross announced they each weighed in at exactly 188.3 pounds, meaning they scooped the pot. Props to the Staples brothers for not only winning $150,000. But, more importantly, becoming healthier individuals. Let’s hope they keep it up in the future.